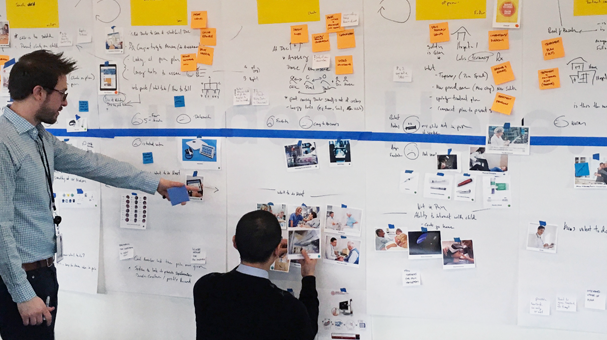 Solving problems in the healthcare space using an ecosystem thinking approach. The design process starts with understanding the ecosystem of the users. In addition to executing research, my role includes creating prototypes, writing discussion guides, and coordinating participants with 3rd party vendors. Workshops allow us quickly develop a shared understanding of the problem, brainstorm solutions, and identify success metrics. Workshops are tailored to fit the goals of the project at different stages of the process. Sketching is used to rapidly generate solutions. 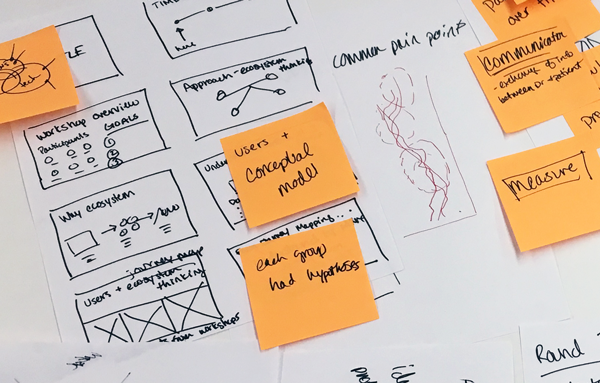 Ideas with more potential than others are further defined on paper before getting to work in digital.